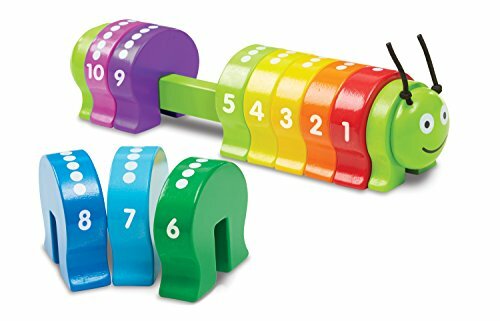 This self-contained Alphabet Abacus provides an innovative approach to teaching the ABCs, numbers and counting. Encourages language development as children name the letters, numbers and pictures on each tile. Spinning and matching the tiles develops motor skills and promotes hand-eye coordination and dexterity, as well as helping to develop an understanding of concepts of matching and spatial relationships. So many toys and learning tools come with countless numbers of parts making it very difficult not to lose key pieces, or to find them scattered all over the house. With the self-contained Hape Alphabet Abacus Wooden Learning Toy, everything stays in one place, not only making it easily transportable, but a hassle free way to teach the ABCs, numbers and counting. The innovatively designed frame of spinning wooden flashcards and sight words develops motor skills, hand-eye coordination and dexterity whilst introducing logic, critical thinking and spatial relationships, as children match the letters and corresponding pictures. Made of quality hardwoods that are sustainably sourced, with the brightly colored, engaging graphics silk printed directly onto the wooden tiles, this learning toy is constructed for durability and made to last.